Polaris, one of the most recognisable names in the pool cleaner industry, are back again with another new product. The Polaris ATV F7 Premium Suction Side Automatic Pool Cleaner comes ready equipped with a 40-foot hose and throat which is useful for sucking up all the large debris. As you know, your swimming pool can become easily infested with all sorts of unfortunate and disgusting things, so make sure you invest in a good pool cleaner like the Polaris ATV F7 Premium Suction Side Automatic Pool Cleaner. However, this is not all that it offers. 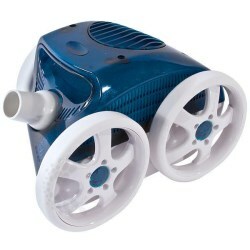 With a drive mechanism which helps it avoid getting stuck or entangled, it brings an intelligence unlike probably any other suction style pool cleaner on the market at present. It also provides both style and substance, with a cool design matched by the output offered by the Polaris ATV F7 Premium Suction Side Automatic Pool Cleaner. With so many fail-safe mechanisms installed, it avoids stopping the water from flowing even if the throat becomes clogged. Allowing for constant, easy vacuuming of all debris and mess through the flow regulation system, it makes for an optimised system which can deal with even the harshest of problems. Very much comparable to the Barracuda X7 and the Hayward auto-cleaner, it offers a great service once it knows it’s way around the pool and has been installed correctly. Thankfully, the installation process is extremely simple and it pretty much gets done all for you, you just need to follow the given instructions. The product itself has seen huge amounts of positive reviews on many different sources, from Amazon to more niche pool websites. The wheels are perhaps a little on the short side however, which can lead to the occasion problem with tight angles where it cannot touch the ground. Also, you need to be ready to check it constantly – preferably after every use – for any clogging between gears as this can be a common issue. A minor design flaw, the actual belts and gears are fully accessible to any debris that gets sucked in, which can lead to performance issues until cleaned. Also beware of leaves, it can quickly overwhelm the Polaris ATV F7 Premium Suction Side Automatic Pool Cleaner and leave it needing emptied out before it can be used further. However, it does deal with larger debris surprisingly well for a suction-style pool cleaner. 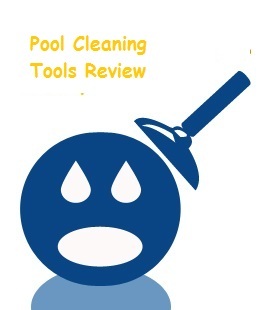 The main problem with such an automatic pool cleaner is that it can really vary from user to user – most find it very useful, but there are some stories out there that raise some eyebrows, with people claiming massive problems with stairs and walls, as they are becoming obstacles while the machine is in operation. These reviews are offset by people who say the opposite, however, so it can be hard to tell – it really is down to your pool and what your requirements are. 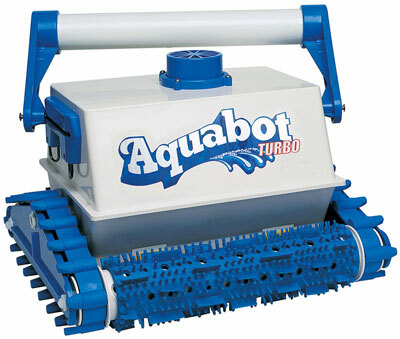 However, the quality of the product itself is definitely offset by the speed and durability of this automatic pool cleaner that has been proven by the manufacturer. 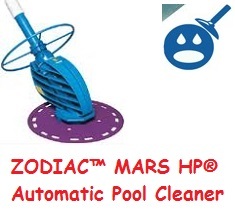 It offers extremely quick pool sweeps, and can take a pretty sizeable amount of damage before any signs of wear and tear appear. This is ideal for pool owners who are looking for a much easier experience than you usually receive with products of this type. 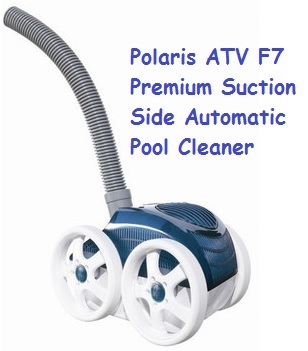 The versatile and durable Polaris ATV F7 Premium Suction Side Automatic Pool Cleaner, however, offers a strong solution for most pool owners as it’s extremely easy to setup and operate, it really does require no expertise or prior knowledge of Polaris products to use efficiently. There are no awful calibrations or changes needed – it makes all of this for you, as it goes. In time it starts to learn the right avenues to take for your pool, allowing it to get to a more efficient cleaning time in the future, meaning you can spend more time actually enjoying your swimming pool than you do cleaning it! The one big downside to the Polaris ATV F7 Premium Suction Side Automatic Pool Cleaner is that, at the moment, it is pretty rare outside of the United States. Thankfully, Polaris look like expanding out in the near future and pushing products to other countries more readily, meaning that is awesome little device will be used more regularly across the globe, which can only be good for mucky pools!